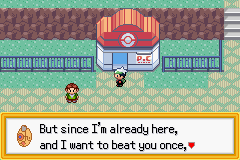 Don't like how Emerald basically made every menu green? Well that's no longer a problem! This patch restores the Ruby/Sapphire colors to all menus. This patch does not use any free space, so you are free to apply it to any existing hacks assuming you didn't modify the menu colors beforehand. This patch was made by Chaos Rush.